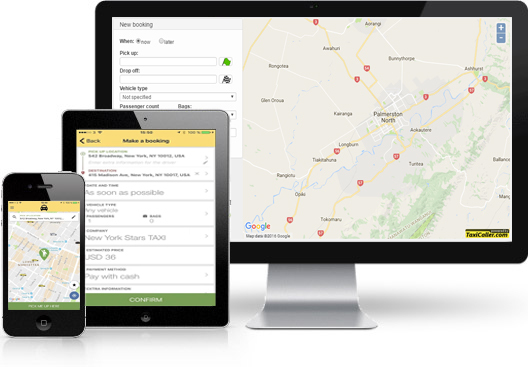 Taxis Gold & Black – THE REGION’S LARGEST LOCALLY OWNED TAXI COMPANY – run a fleet of modern cars, wheelchair and multi-passenger vans, delivering premium quality 24 hour service to the Manawatu. Our PROFESSIONAL team of friendly local drivers is at your call. Taxis Gold & Black – THE MANAWATU’S LARGEST LOCALLY OWNED TAXI COMPANY. We run a fleet of modern cars, wheelchair and multi-passenger vans, delivering premium quality 24 hour 7 day service to the greater Manawatu. Our PROFESSIONAL team of friendly local drivers is at your call. TOTAL MOBILITY VANS: We are the Manawatu’s largest provider of wheelchair transport with six wheelchair capable vans servicing Palmerston North, Feilding and the greater Manawatu. MULTI-PASSENGER VANS: Our fleet of six passenger vans are capable of carrying from five to a maximum of nine passengers. Car seats can be added to accommodate young children. CAR SEATS: We provide a range of car seats and booster seats at no extra cost. Four of our vehicles carry a single car seat and are available for general request. We can also provide up to two seats in a car or four in a van with prior booking. SCHOOL & DAY CARE TRANSPORT: We can drop off or pick up children from school or daycare, either unaccompanied or accompanied by parent or carer with car seats provided. We’ll coordinate arrangements prior with the parents and school or daycare, introduce our authorized driver/s and provide copies of Driver Endorsements. All our drivers are police vetted and NZTA approved. URGENT DOCUMENT/PARCEL DELIVERY: We can deliver urgent documents and provide Proof of Delivery (POD). We offer prompt pickup and one-hour delivery within Palmerston North and close environs, e.g. Feilding, Ashhurst, Linton. Competitive fixed pricing at better than taxi rates for out of town deliveries. So if you need a ride – anytime, anywhere – call our great team at Taxis Gold & Black today! Please click the button to view our terms and conditions.